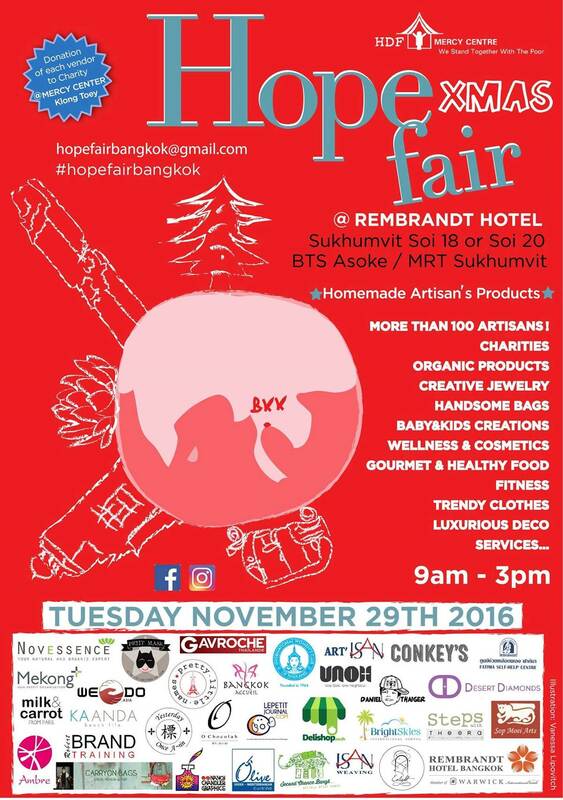 On November 29th, the Hope Fair will be celebrating its 2 year anniversary with a special giant Christmas fair at the Rembrandt Hotel on Sukhumvit Soi 18. More than 100 artisans, craft makers, chefs, and delicatessens will have their goods exclusively available for this unique event. It is the perfect opportunity to satisfy gourmet desires and to find very special gifts for your loved ones. The Hope Fair was created in 2014 on the principle of community, and to help make Bangkok a smaller megalopolis. It is a unique fair where clients can talk directly to the suppliers, creators and makers. A variety of products will be available from food to homewares, clothes, cosmetics and art. Hope Fair vendors are selected by their story, their product, and what they can offer the community. Many of products are home or hand made with love, purpose and passion. Foods are mainly organic, healthy, natural and, in some cases, directly from the source, something that is difficult to find in Bangkok. A diverse range of unique homewares which embody the artist’s passion and vision can be found. Cosmetics and heath products made from natural ingredients will be available, as well as wellness and healthy lifestyle tips. The kids are not forgotten with a selection of educational games, trendy clothes, fun costumes, and amusing activities available. All the participating vendors donate to the Mercy Centre of Klong Toey. The money raised will be used for the urgent repair of windows at the Romklao preschool in Klong Toey, which have become dangerous. The total cost of the project, which will start next year, is approximately 160,000 THB. To date the Hope Fair has raised more than 59,000 THB, and is eager to reach the target so that the repairs can be undertaken during the school holidays, before school resumes in the new Thai year. The contributions from this event will go a long way to ensuring that the school can operate safely. The Hope Fair also supports approximately 10 other charities at each event by providing nonprofit community groups the opportunity to sell their wares. Lao Song Craft, Sop Moei Art, Art’Isan, Isan Weaving, Klong Toey handicraft, Mekong plus, and other associations supporting people in need will have booths at the coming event. All revenue from their sales will go directly to the communities they are supporting. During the event the Hope Fair will be accepting donations on behalf of the Mercy Center. Any unwanted clothes, household items, shoes, toys and any other items no longer wanted can be brought to the Rembrandt Hotel on November 29. These items will either be given to the Mercy Centre or redistributed to the Klong Toey slum community. This is a perfect occasion to clean out those cabinets at home and start the new year fresh, while giving to those in need. The Hope Fair operates 5 times a year: in January, March, May, September and November and is a fun and free event that provides for communities in need. 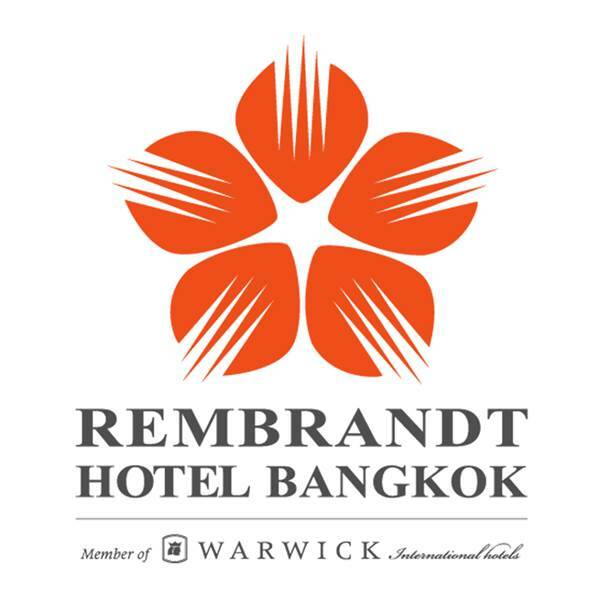 The Rembrandt Hotel is located in Sukhumvit Soi 18. The hotel can also be accessed from Soi 20. Close to BTS and MRT stations Asoke. The Hope Fair is held in the spacious and elegant 660 square meter ball room, on the 2nd floor.